In an opinion piece for CNN, WHO heads Henrietta Fore and Tedros Adhanom Ghebreyesus saidthe world was “in the middle of a measles crisis”and that “the proliferation of confusing and contradictory information” about vaccines was partly to blame. 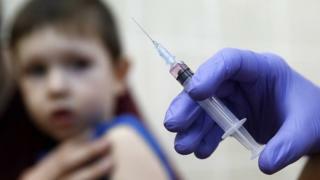 Last month,Italy banned children under six from attending schoolsunless they had received vaccines for chickenpox, measles and other illnesses. A public health emergency has also beendeclared in areas of New York, ordering all residents to be vaccinated or face a fine.